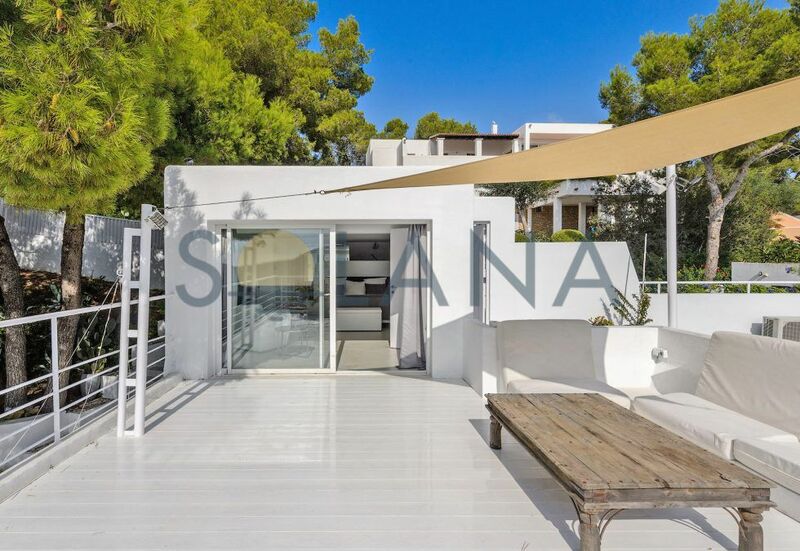 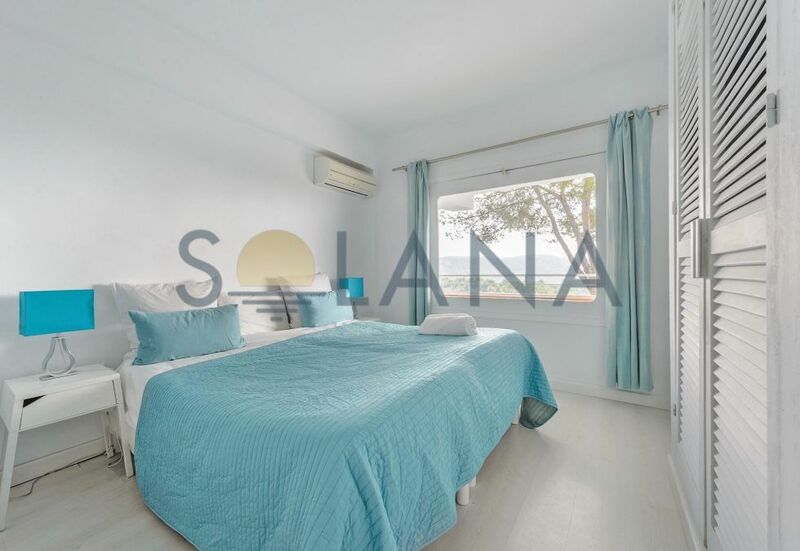 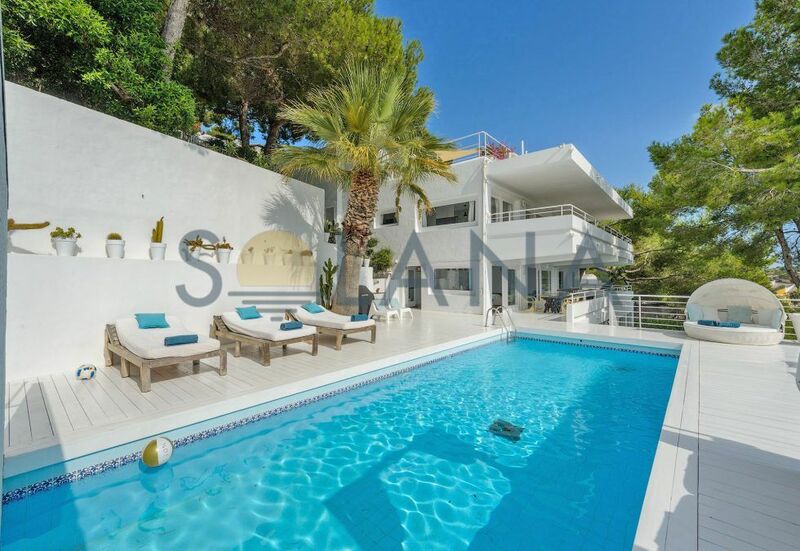 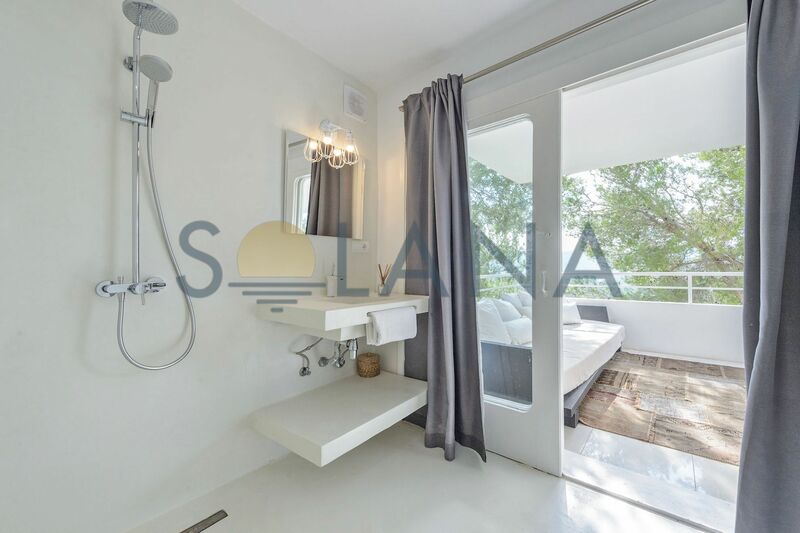 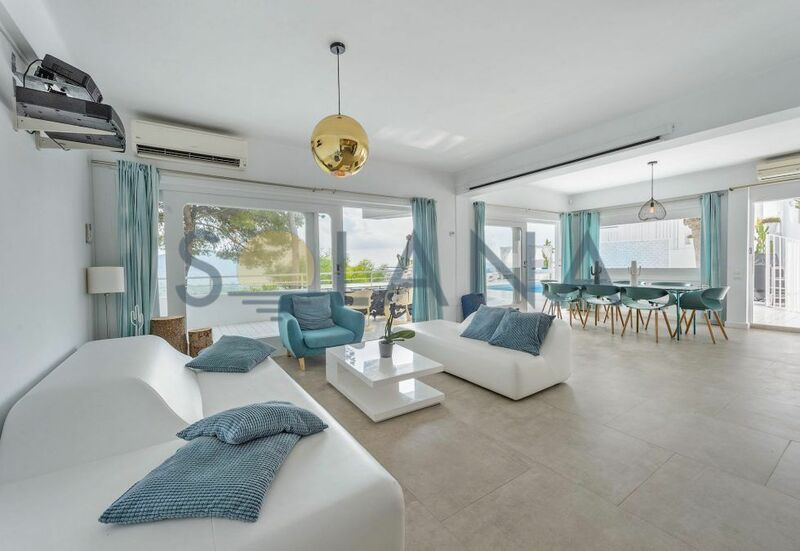 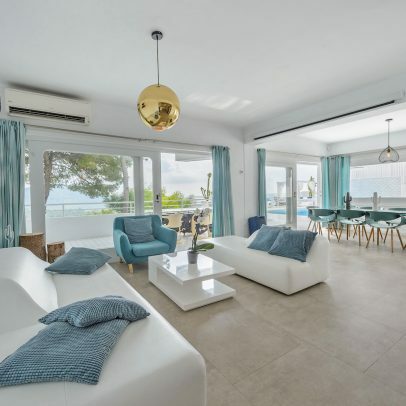 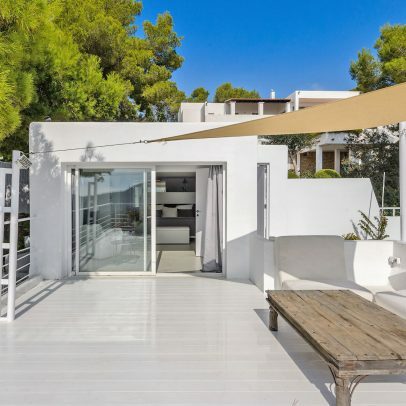 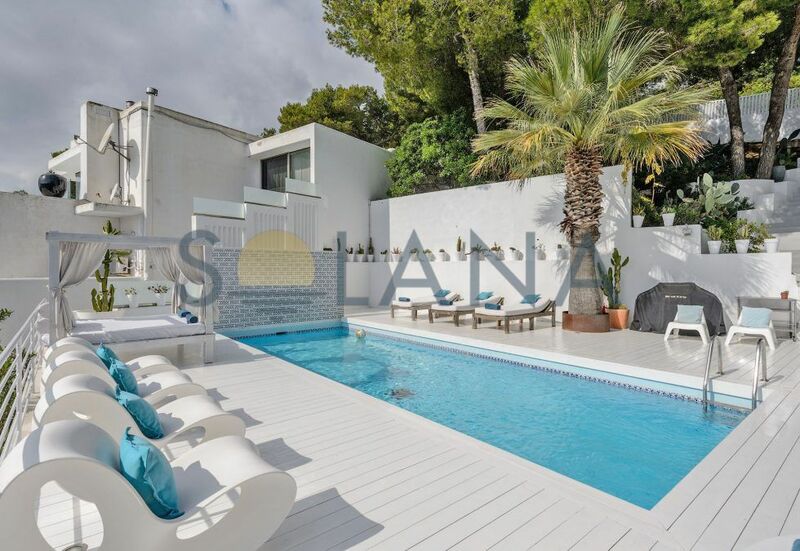 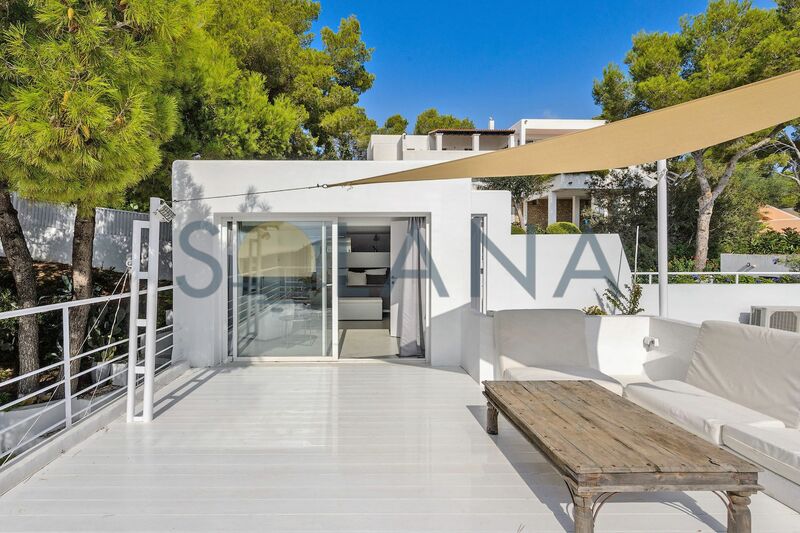 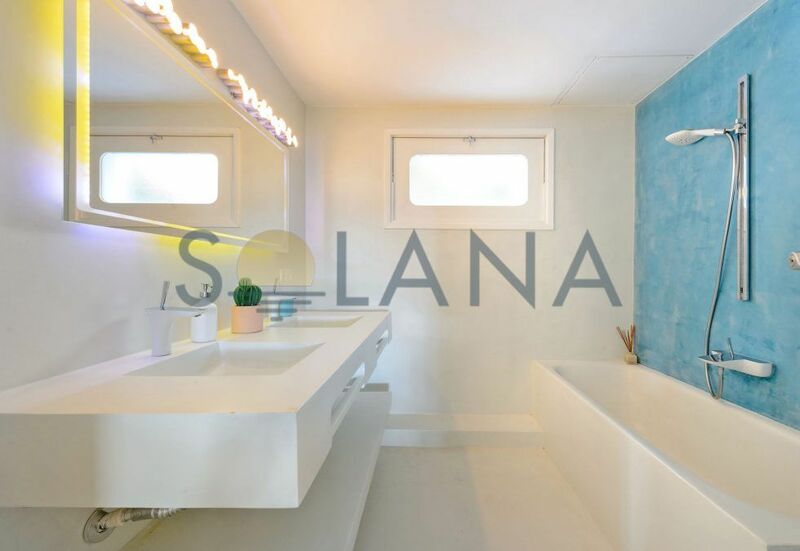 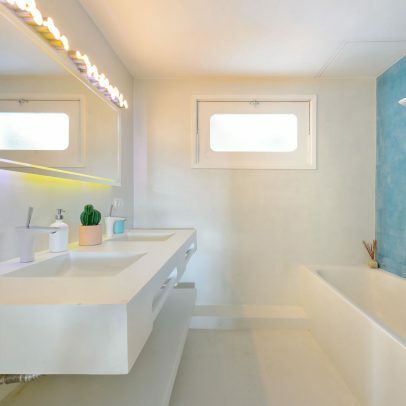 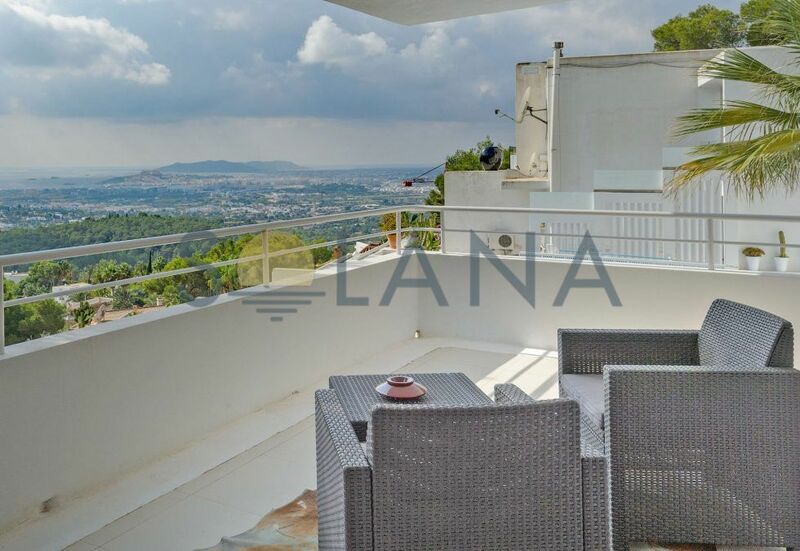 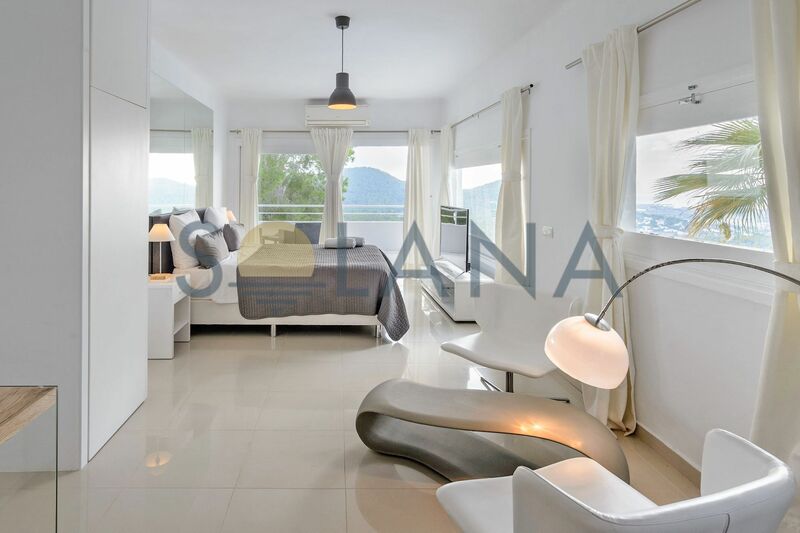 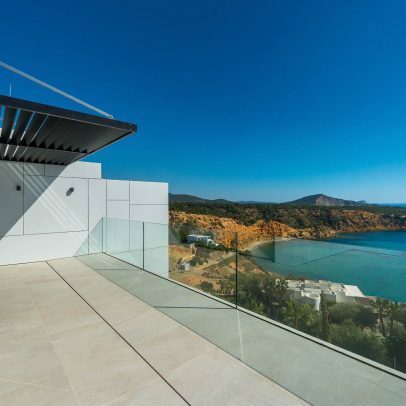 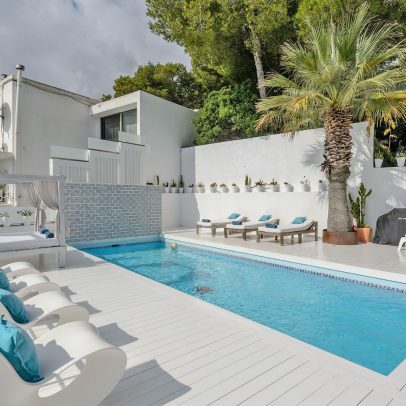 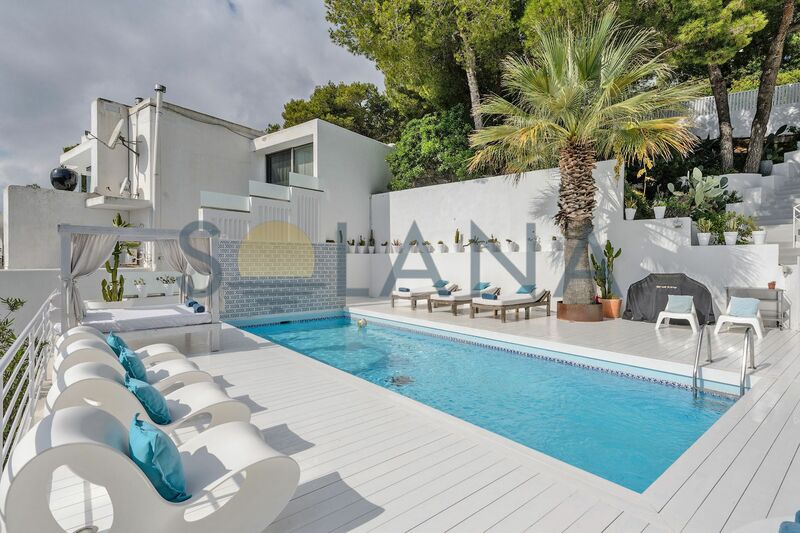 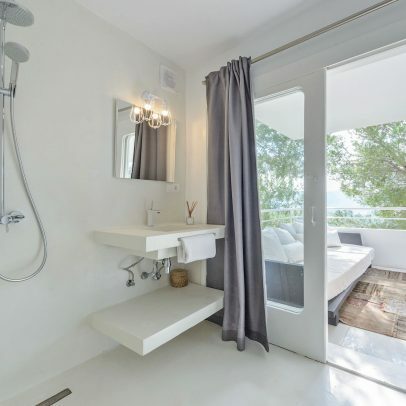 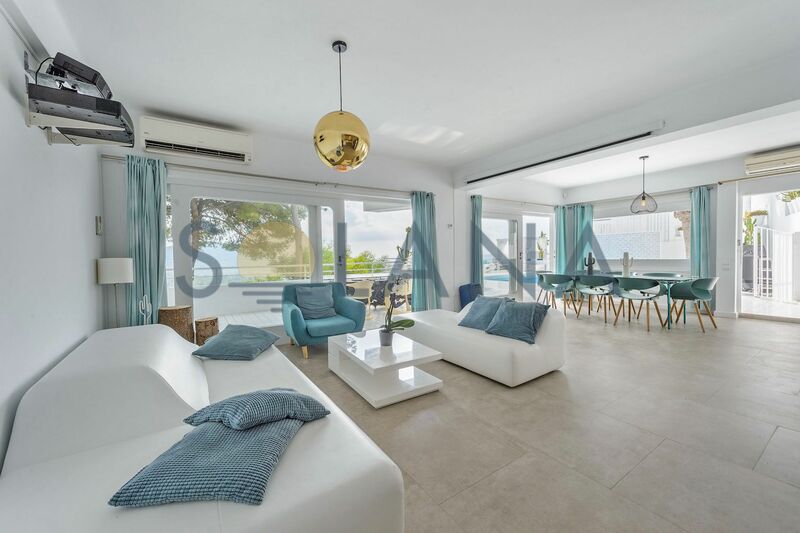 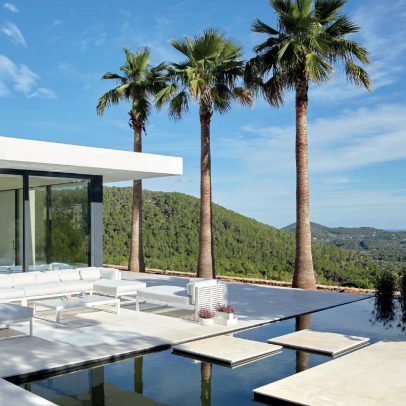 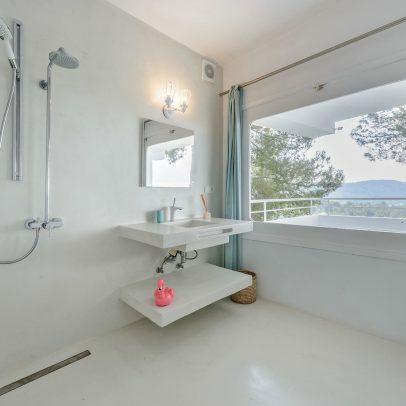 Spacious contemporary architecture villa located on the high point of the urbanization Can Furnet, where you can enjoy magnificent views of the hills, the sea and Dalt Vila. 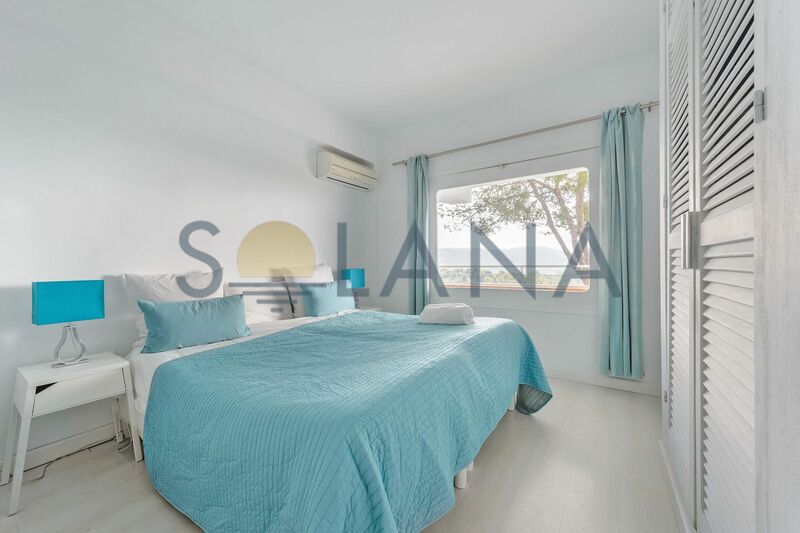 The residential area Can Furnet is situated near the town of Jesus with many shops and facilities open all year round. 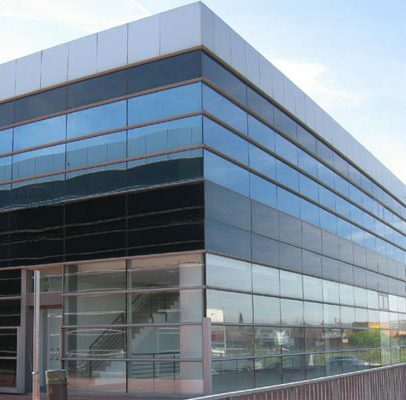 In 10 min. 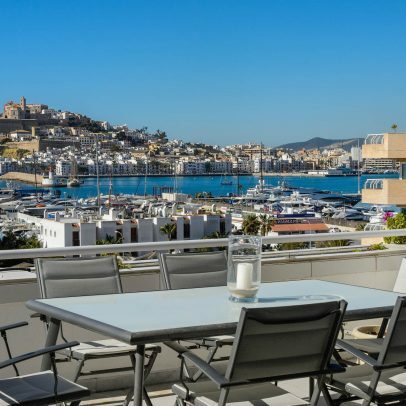 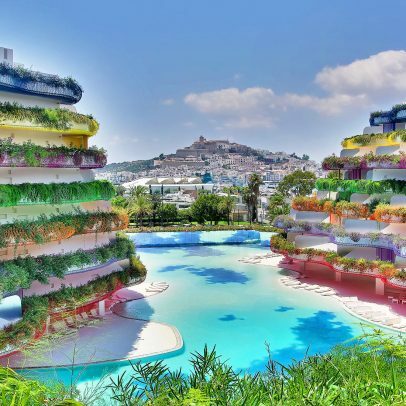 by car you reach the Ibiza city center, the beaches of Talamanca, s’Estanyol and the marinas. 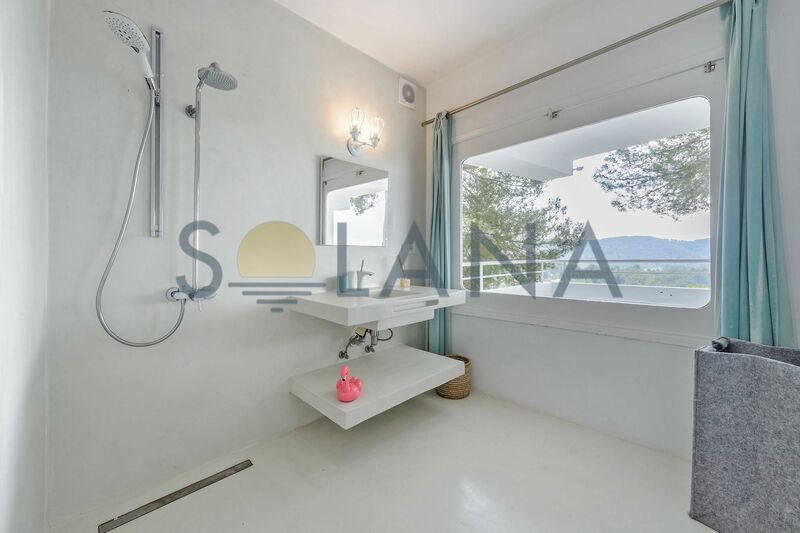 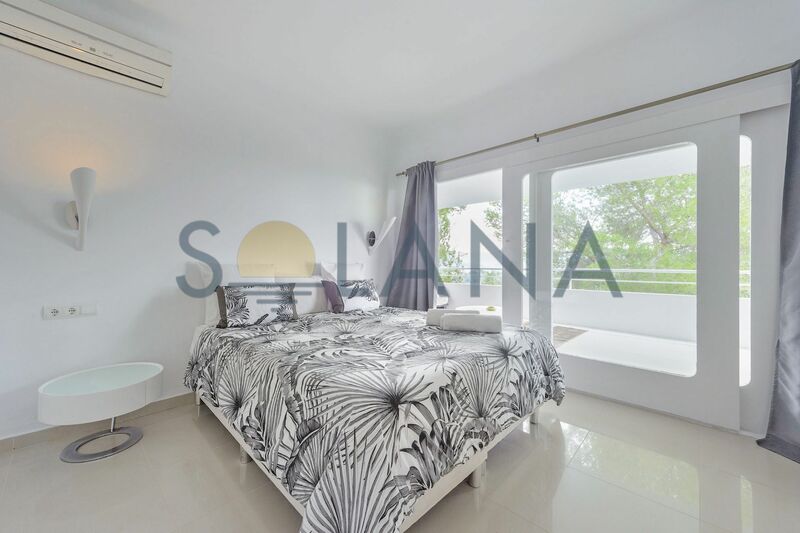 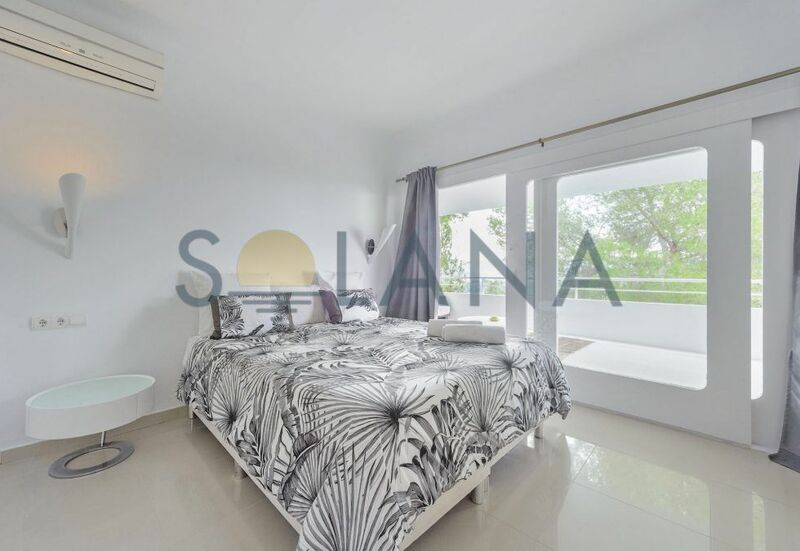 The house is distributed on several levels with 2 independent apartments and a separate room with its own private access. 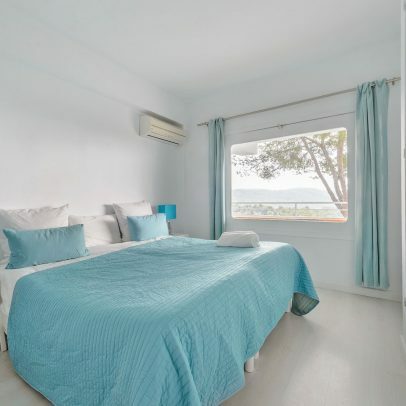 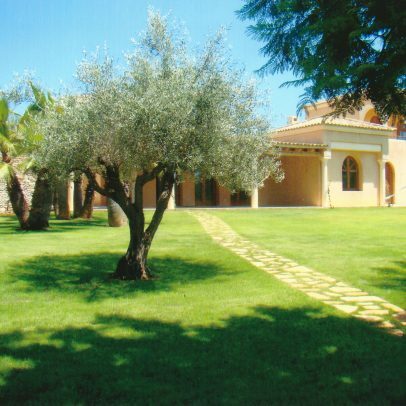 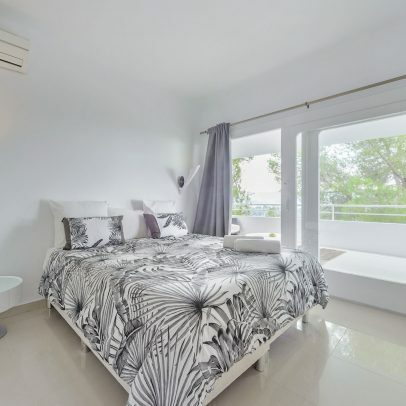 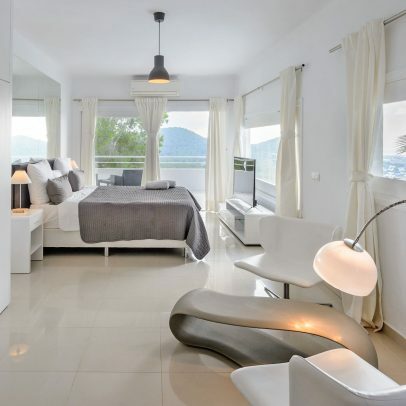 · Independent double room with shower room and large terrace with solarium and summer lounge overlooking the sea, the city and the hills. 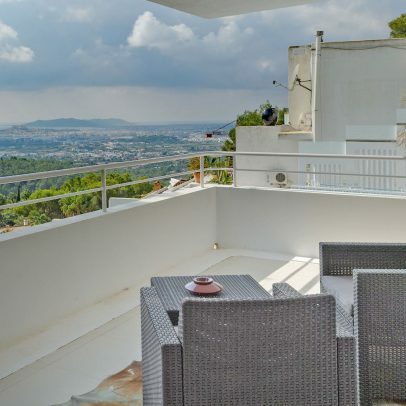 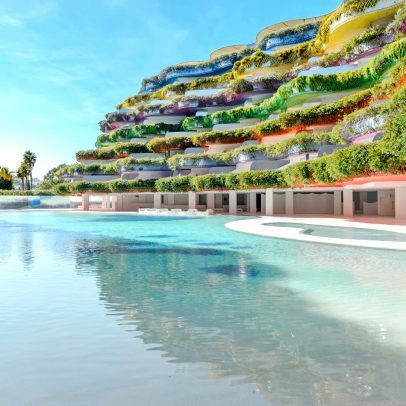 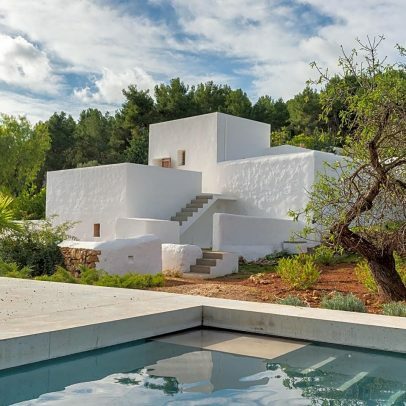 · Large covered terrace with views. 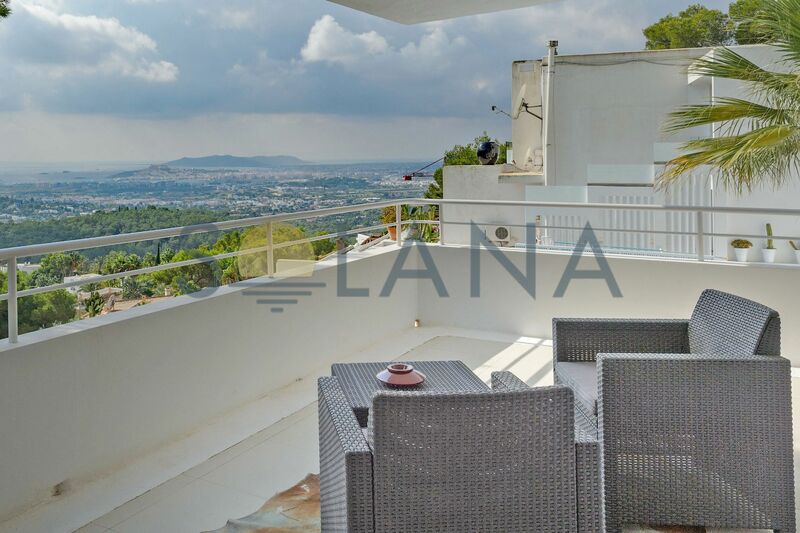 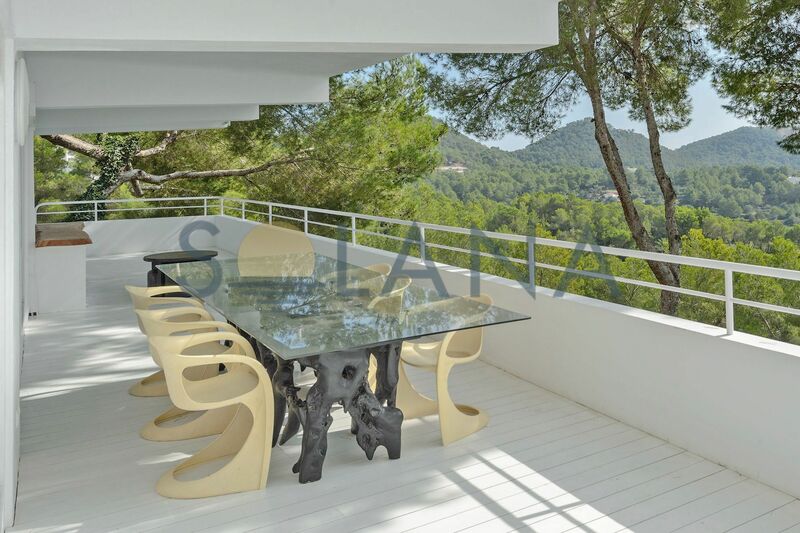 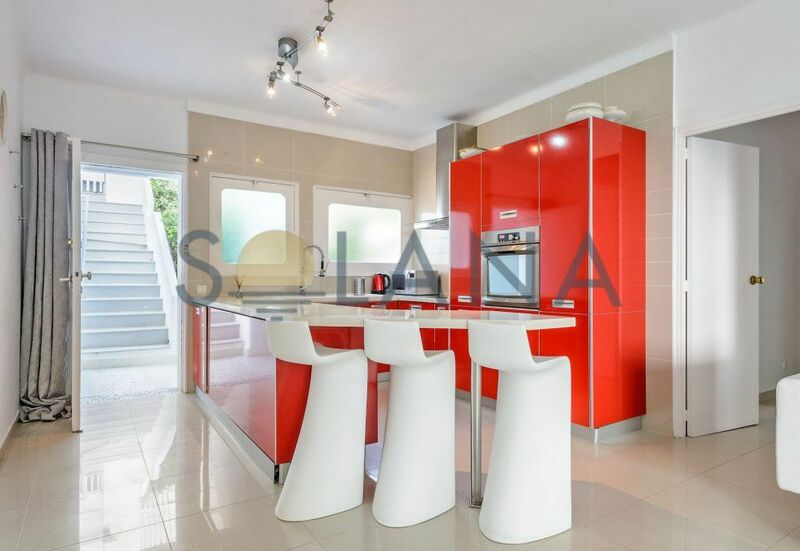 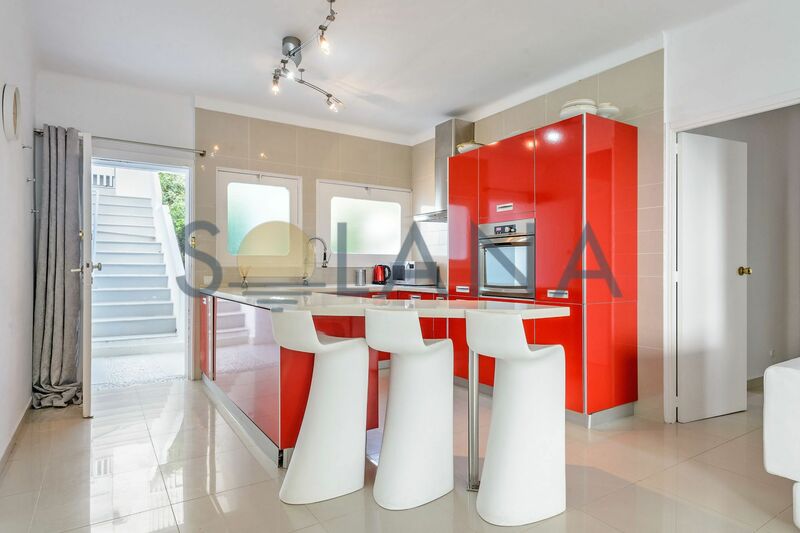 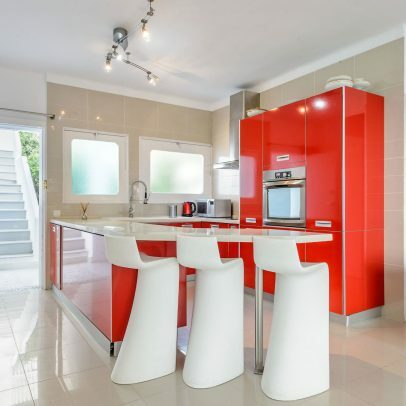 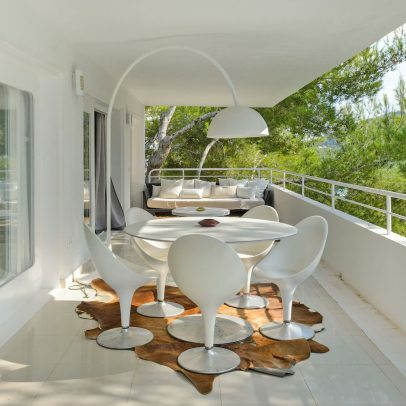 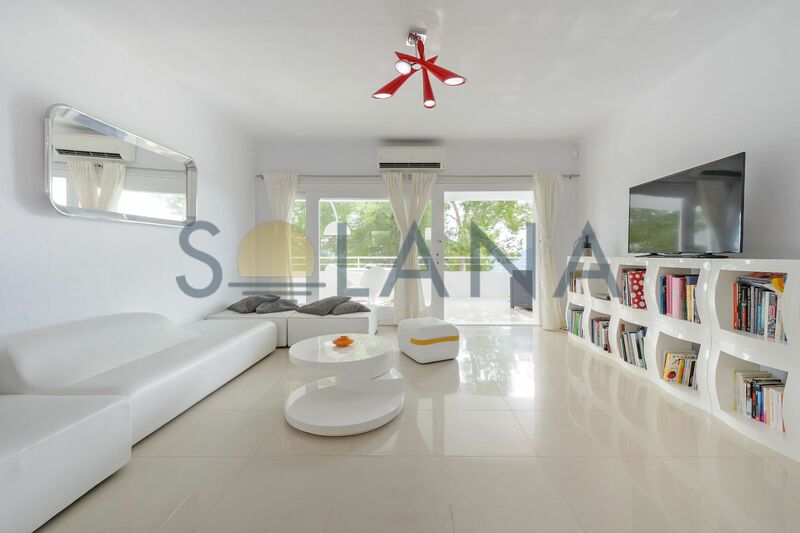 · Large front terrace with living room, dining room and views. 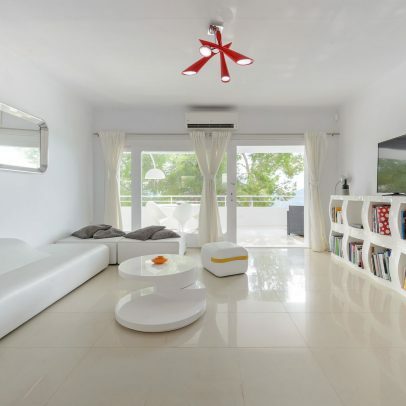 AIR CONDITIONING with HEAT PUMP in all bedrooms and living rooms. It’s possible to merge the two apartments through an internal staircase that is still preserved and make a single large apartment.